Personalized Copy Of Coach Of The Century Especially For Max Emfinger! My Biggest Blessing in High School! 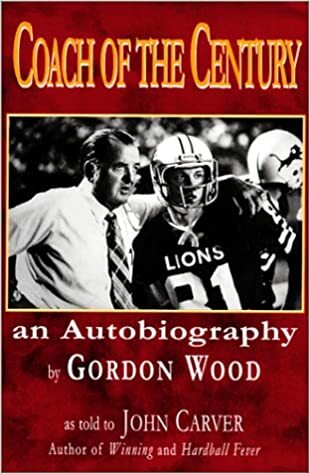 One of My Biggest Blessings and One of My Most Incredible Blessings, Which Includes My Wife Ginger, My Son Eric, and My Grand-Son “Little Max” that I have ever had in my Entire Lifetime of Unbelievable Blessings was when Coach Gordon Wood was “Turned-Down” by San Angelo Central for The Head Football Coaching Job in 1960 and Consequently, became My New Brownwood High School Lion Head Football Coach.